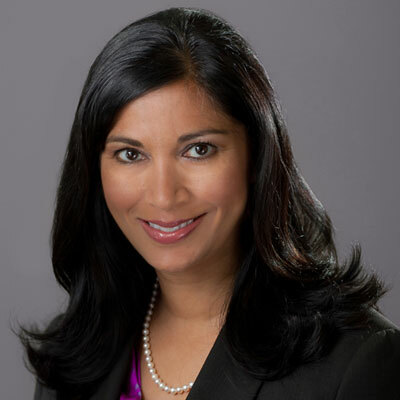 Sonal Patel, Director, Global Solution Partner RTM for the Partner Sales Acceleration team at VMware, is an award-winning leader with over 25 years of experience in the technology industry, consistently capturing growth opportunities, focusing on strategy, serving as a change agent and delivering results, while taking the initiative to create a path for other women in the field. Sonal is a seasoned global ambassador for development and results-focused initiatives with a specialized emphasis on APAC, EMEA and emerging markets, from which she has led a 95 percent participation rate when conducting global team focus groups. She also created and managed a 300-channel global community for culture and positive change. Sonal's global experience extends to customer and channel management through the art of global role design. Sonal's expertise in aligning sales force and channel efforts, implementing strategies to design, deploy and manage collaboration for high performance results in competitive markets. She was responsible for overseeing strategy for business partners, coordination of national sales coverage and local sales execution. She has evaluated and driven strategic partner business managers' current states, provided mapping to desired states and outlined gaps and suggestions using analysis to manage career paths and guide future skills enablement efforts. Built a foundation to better support and enable VMware's partners. Created a blueprint to support the Partner Sales organization in driving a standardized, milestone-based partner practice development initiative supported by an updated Partner Sales organizational model. Gained global commitment for Partner Sales role investments through design, development and implementation of investible channel model. Worked with executives, regional leaders, and function stakeholders to clarify proposals to include a clear strategy, framework and process to drive transformational change. Aligned stakeholders to land globally consistent Partner Sales Roles and compensation models. Established rhythm with the business for Partner Sales Roles quarterly training plans. Grew Partner Sales Community engagement 900%, peaking at 500 in 2017- up from 50 in 2015. Initiated global monthly calls that highlighted guest speakers and provided newsworthy information. Enabled data-driven decisions by providing business intelligence access to key Partner Sales roles. Led design, development, and delivery of Global Partner Business Manager tool sets in less than 6 months. Boosted productivity by building data-driven compensation model based on key-performance-indicators (KPIs) aligned to company growth targets. VMware employee survey results validate an increase in production. Continue to drive globally consistent roles and compensation models to support Partner Sales Roles for the success of the people, partners and customers. Enable productivity for partners by driving innovation, iteration and acceleration of relevant toolsets. Continue to iterate on role definitions, compensation model aligned with evolution of company goals. Grow communities across all partner sales roles focused on Sales, Recurit and Technical connections. Recipient of multiple functional based EPIC2 awards as presented by VMware senior leadership. 2017 CRN Women of the Year award recipient. Lead VMInclusion Dialogue Ciricle for Cohort #4. Provided formal and informal mentorship for VMware employees and interns. I admire Sallie L. Krawcheck, CEO and Co-Founder of Ellevest and Chair of Ellevate Network. Her platform is a business-minded approach to reach the feminist community to solve or perhaps shorten the gender gap. I had an opportunity to meet Sallie through Watermark conference. Salle is approachable in person. Her storytelling and sharing of experiences gives me a sense of strength and courage to continue to drive forward in investing in myself and women throughout my career and life journey. Since I have a sixteen-year-old daughter, this is a very appropriate question. Learn, read and communicate your thoughts, your opinions and your wisdom, even at sixteen, to yourself and others. Maintain diginity, integrity and grace in all aspects of your life. Be true to your faith, your family, your friends and yourself. Have the courage to act and the humility to apologize. Learn the importance of hard work versuses hardly working. Your inner truth will set you free. Love, live and enjoy life and you are truly a gift. Learn how to code. I have a strong desire to continue to be able to understand technical conversations going around me. It's like being part of a secret society. It's also a way to stay connected to my children and the generations to come. Also learning a new programming language, whatever that language may be, is empowering. Learning to code allows me to have a sense of self reliance and accomplishment. Own it by Sallie Krawcheck. Sallie shares her past experiences and offers advice for business women in an easy to read conversational style part memoir part self help book. Sallie's platform to shorten the gender gap by empowering women to invest is a positive turn that inspires hope and action to deliver the best we have to offer for ourselves, our children and our community. The timing is now and this book offers a new way to continue to lead.